Kanvas Lab, recently announced their instant messaging and photos editing apps is now acquired by AOL deals in news, movies reviews, technology updates etc. Kanvas holds three popular smartphone apps: Photo editing apps for creative editing in photos and Kanvas Keyboard which you can use to send GIFs and stickers in between any going conversation. Kanvas for messenger is among the favorite for startups which will integrates any startup products into Facebook messenger. Photo app from Kanvas has received the splendid response, 1 million app has been downloaded so far. Financial terms has yet not been disclosed (don't expect it as well) but the entire Kanvas team will be joining AOL at its headquarters in New York city. Additionally, AOL also plans to integrate their products with Kanvas App to receive immediate boost. More news at AOL . Using online time tracking software, you can analyze or calculate the exact hours of work you’ve applied on project, client or employee. Currently, there are many apps or desktop applications available that could help you monitor the productive hours of employee or even help you identify the currently active tasks on the employee system. This is indeed a great way to save you or your company from reducing unproductive hours and stay ahead in the competition. I believe that employee time tracking software could enhance the productivity of an employees by guiding them to stay active maximum number of hours and thus, you’ll be more close to your business goals or deliver projects faster. What are the time tracking apps in the list? You can best 10 online time tracking software that are pretty popular these days and considered to be the most reliable platform in terms of security and user data privacy. Most apps or desktop based applications support availability on the go or through mobile which makes you proactive all day towards your business goals. Best app available to track employee time from anywhere. You can easily manage the time sheets in real time or complete payroll tasks in minutes. Now you don't need to worry about managing your valuable employee time or wasting hours of effort in completing payroll tasks. Have this tool to finish all the complicated tasks at work at your finger tips. Paymo reserved the top position in the list with maximum inbuilt features and easiness. We’ve scaled and gone through over 100 of online time tracking apps and measured its effectiveness. Paymo works best if you are into freelance journalism or running small business by monitoring the accurate time you’ve spent working on client projects or any internal work. Automated time tracking tools for accurately billing clients and make your charges reasonable. All the work log will be easily recorded with pretty accurate start and end time. Small desktop app to easily record everything, available for Windows & Mac both. Manage everything on your timesheets and view data in familiar calendar style design with days, week or month views. Can edit time entries yourself right into the desktop app which clearly doesn’t seems good sign. Accurate but not that much in filtering the time spent on any specific websites. It’ll skip time you’re logged onto secure browser windows like incognito in Chrome. 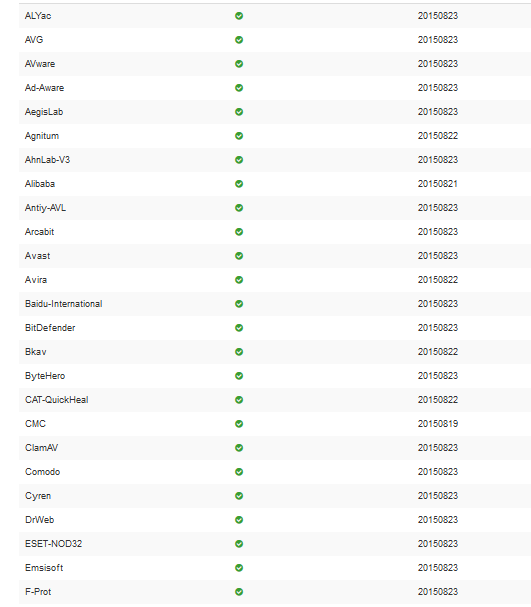 Pretty good at monitoring apps, websites or even the currently active window. 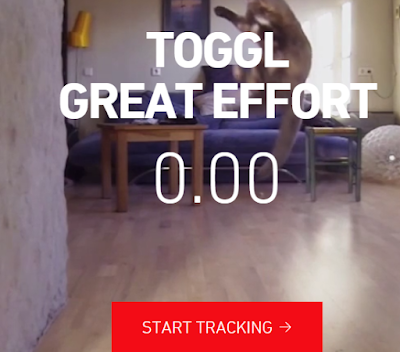 Monitor everything online in real time or keep it recorded so you can track time later. Easy to setup and perfect for users with beginner level of expertise. Available for any latest version of Windows like Windows 10, Windows 8, Windows 7 or XP. 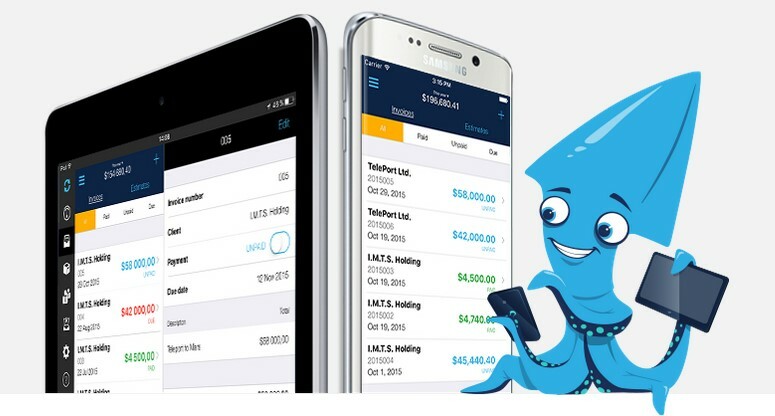 Simple yet insanely powerful and free time tracking software with paid plans that lets you keep track of everything on your fingertips. You can make it truly yours by customizing the backed codes and see only things that matters to you in timesheet. Improves productivity by prioritizing tasks that crucial for your business and lets you focus only on important tasks. Enhance your analysis skills by presenting customized set of Windows and lets you track every single minute of working hours. 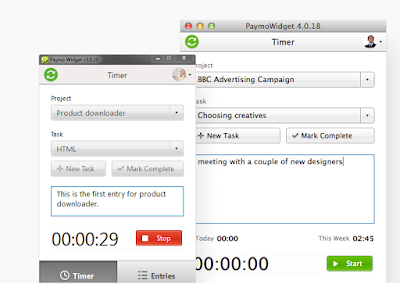 Completely cloud based time tracking software but with capability to use over web, as a desktop widget or on your mobile. This one is pretty accurate at time tracks completely in web interface. Set everything up in minutes using step by step wizard. Pretty accurate employee time tracking software with detailed project analysis, how many hours you’ve to any particular project. It can set reminders, record screen. 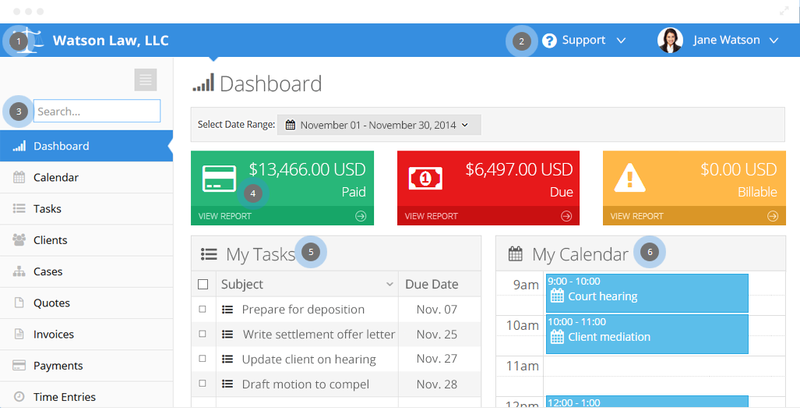 Invoicing capability, automatically generate and send reports, timesheet managing etc. Everything in control with TimeClock Manager and complete employee time tracking utility. Small time tracking app that works well across varied industry needs and different niches. Available as per employee license software and will be valid for lifetime period. You’ll be billed at the end of the year for any additional licenses added during the period. Record employee location using GPS enabled mobile devices once they logged into their system. Complete web based time tracking software that works with different size capacity of business. Track everything online and whatever you need using the mobile app available for iPhone and Android users. Easily notify employee about overtime, project completions or overdue using emails, text messages, twitter messages etc. Detailed and comprehensive timesheets for employee payroll including the working and non-working hours. 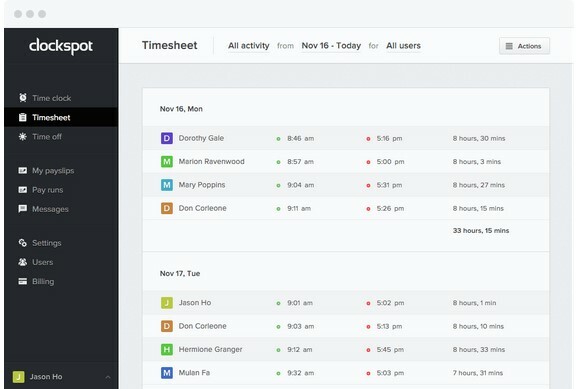 As like others, Timeneye is also a web based time tracking app that helps you manage everything while sitting anywhere. Easily grasp how things work using intuitive interface. Start counter whenever you are ready and stop when it’s done. Pretty advanced features for admin role users who can control and increase employee productivity on project they are working. Better project monitoring by avoiding unnecessary hours on any assigned projects in real time. Employee collaboration on timesheets which include the details about working hours given on any projects. That helps employee grade themselves and better decide their productivity impact. Clear and visibly appealing reports helps you and your employee watch over the time spent on any given projects. Instantly track times categorized under different roles in your company like customers, projects or occupations. Customize and make it truly yours by defining things only you need to watch over under ‘Settings’ option of this web based time tracking app. Perfect fit if you are facing compliances within the company. It’ll record every single seconds of employee working as well as the attendance and generate detailed timesheets at the end of the month. Currently, web app available for iOS and Android users for using Replicon on mobile phones. Don’t take worries of incremented data storage issues, Replicon will store everything up for in their cloud based platform which is secure and has maximum up time servers. First time tracking application in the list that designed to make your employee comfortable while handling tasks. Better timesheets managing capability every employee need with neat and tidy interface. Real time access to reports so you can better track ongoing projects in the company and plan budget or time accordingly. Integrated with HR and payroll options to better decide employee salary. Schedule daily shifts for your employee (s) and get them notified instantly. Currently, only phone and email support is available (no chat options). With 17 days free trail, you can start using Yanomo online time tracking software as low as $5 / month. You can take the tour anytime to get yourself better understand how easy is it to using Yanomo. Integrated calendar to see how many hours you’ve given on any particular project. 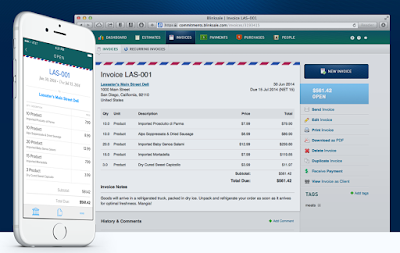 Integrated invoicing features lets your client get notified the exact hours you’ve worked on. While surfing net, we may have came across files that our antivirus program tends to block. These files have been created to infect your PC and infect your PC. later, It'll be the only record that breas everything into your PC and steal your crucial documents. See the image below of an email I've received few days back that states somebody has shown interest in working with me on a project. I don't know how this guy got my email and what kind of project he's talking about. Still, I'd rather not work with someone I don't know or even share my details. Similar emails has been used to trick users to download any particular files on their computer/PC and open it. As soon as you open the attached document, it'll inject malicious codes onto your system that will share everything from the system and upload it to their servers. To be safe side, just unplug internet connection (your LAN cable or modem you are using to connect to internet) and run Antivirus program. If you don't know how to deal with such malicious files, consider seeing an expert help. How to check for infected files (PDF, Word, Excel etc.) Online? I'd recommend you to check almost every files you've download over web, before opening it into your system. VirtusTotal is a free online tool that helps you check files for its consistency and your safety. 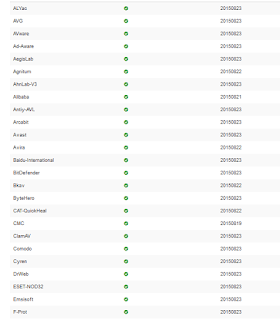 You can directly upload any file to VirusTotal and click on 'Scan It!'. Wait for few seconds (it may take little longer if the file size is large) till this online tool completes scanning. This tool will scan for virus infected files using over 200 online file scanning tools to let you know if the files is safe to open or not. If you've any specific tools to search for the safety of downloaded documents,feel free to share it in the comment section.